This zesty, airy dessert is a true flavor sensation for all lovers of tangy citrus. It’s a refreshing, cooling treat that is especially enjoyable during a hot summer day. The first time I made this sugar-free coconut lime avocado mousse was for someone who needs to watch her sugar intake due to Diabetes. I wanted to create a dessert that tastes like the real thing, while using healthier ingredients and I’m really happy with how it turned out. 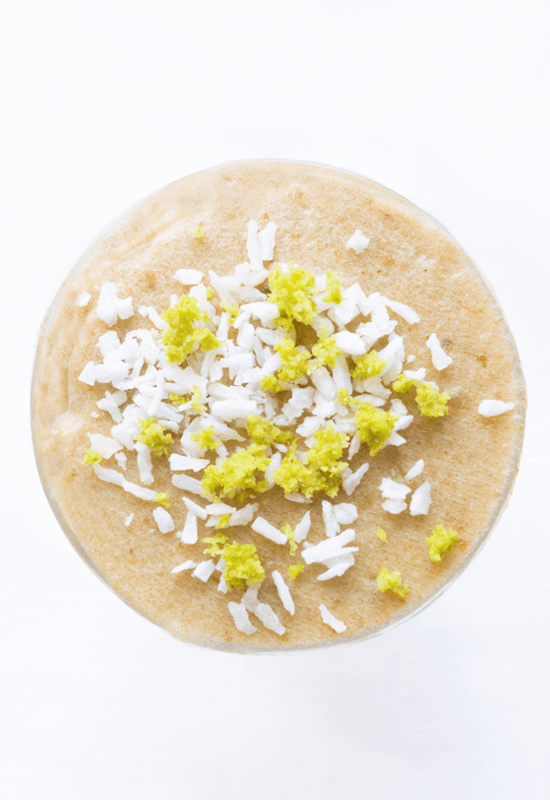 This mousse is raw, vegan, gluten-free and sugar-free, plus it contains an impressive list of highly nutritious foods: avocado, lime, coconut, dates and spirulina. Avocado is a great source of healthy fats and it’s such a good ingredient for desserts as it provides a creamy, silky texture. You don’t have to worry about your dessert tasting like avocado, because you don’t notice the taste at all. If you haven’t yet, make sure to try my chocolate avocado mousse with coconut cream another amazing, nutritious dessert. 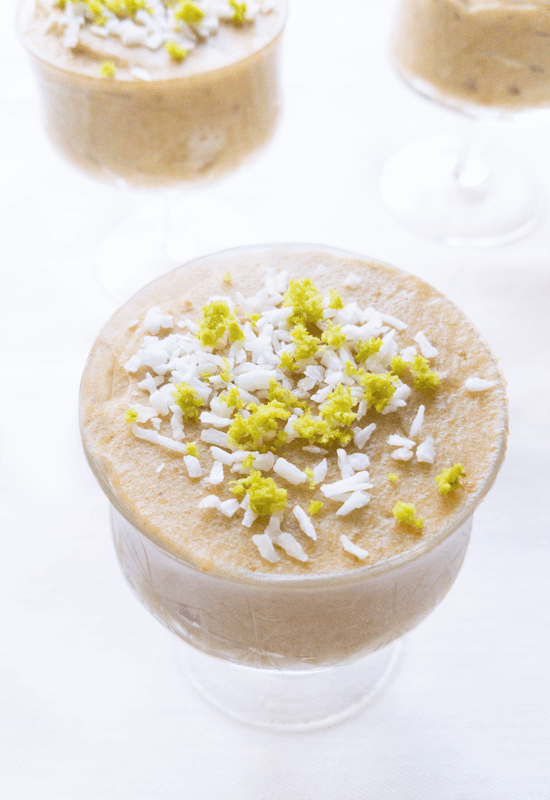 Lime is the most outstanding flavor in this mousse, I personally love its tanginess. The dates add some subtle natural sweetness to it, if you like it sweeter though, just add more date paste to it. Spirulina is very rich in protein and iron. When you mix it with other ingredients that are dominant in taste such as limes, you don’t taste it at all. Are healthy desserts a dream come true? I know for me that’s definitely the case! Put a closed can of coconut milk to chill in the fridge overnight. This will separate the creamy part (which is the part we need for this recipe) from the liquid. Once chilled and separated, scoop out the creamy top part of the coconut milk. Save the liquid for a different recipe. Put all the ingredients minus the coconut oil in the food processor and mix well. When everything is mixed well, add the coconut oil and mix again. Serve into cups or bowls and garnish with lime zest from organic limes and shredded coconut. Put the mousse in the fridge for 1-2 hours to firm up prior to serving.